India u17 vs United States u17 Live Streaming Football Match of Fifa U-17 World Cup 2017. Today is first day of Fifa U-17 world cup tournament of soccer series. 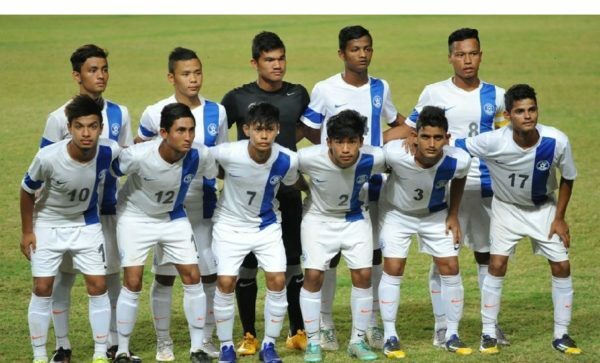 Today India u17 team against USA u17 team on Friday, 6th October at Delhi’s Jawaharlal Nehru Stadium in their FIFA U17 world cup opener. Match starts from 08:00 PM IST time (india time zone). Which tv channels will live broadcast the FIFA U-17 World Cup match between India u17 vs United States u17 ? DD Sports and Sony Network TV channel live telecast today IND vs USA u17 world cup match of FIFA under 17. DD Sports is a free dish tv channel in india. There are here DD Sports official website www.ddindia.gov.in DD Sports tv channels available channel 232 on Airtel Digital TV, Channel 510 on Sun Direct, Channel 663 on Dish TV, channel 512 on Big TV, channel 401 on Tata Sky, Channel 503 on DD free dish tv satellite. So all indian football friends can watch Fifa u17 world cup match between India u17 vs United States u17 on DD Sports television channels. Sony Network also provide live coverage of FIFA U-17 World cup all matches in india. Sony Pictures Networks india has broadcasting rights for live streaming FIFA U-17 World Cup matches live coverage. This is a 22 days tournament. And with three language feeds English, Hindi and Bengali on Sony Ten 2, Sony Ten 3 & Sony ESPN Channels. www.sonyliv.com useful for watch live football match between India vs US u17. As per the expert prediction USA under 17 team performing very well now. But India is a first time come into Fifa U-17 world cup. So if you give your best prediction like who will won this today FIFA u-17 match then post into below comment box.